The hotel's main lobby and mezzanine areas feature a half-acre of rare Brazilian rosewood, extensive use of German silver, and a stylized Egyptian decor reinforced with delicate floral motifs. There are also exquisitely detailed frescoes, ceiling murals, an original Rookwood fountain with a pair of matching seahorses, and the refined Restaurants at Palm Court, which includes Orchids at Palm Court—voted as the top restaurant in Cincinnati (Zagat, 2011) and one of the top 50 restaurants in the US (OpenTable, 2010 and 2011). Other areas not to be missed are the renowned Hall of Mirrors, modeled after the Palace of Versailles in Paris, the Continental Room, with striking floor to ceiling windows, gorgeous chandeliers and amazing frescoes of the four seasons, and the Pavillion Ballroom, originally the hotel’s nightclub. Each of the 561 guestrooms and suites feature Hilton’s Serenity Bed, a truly luxurious sleep experience. Modern amenities include high speed internet access, individual heating & air controls and a work space that includes a five-point desk chair. The hotel is within the Carew Tower shopping & dining complex and centrally located in downtown Cincinnati, and the anchor for the city's famous skywalk system, which connects to the Duke Energy Convention Center and several complexes. The hotel is adjacent to renovated Fountain Square Entertainment District and within walking distance to Cincinnati's Backstage Entertainment District, Paul Brown Stadium, Great American Ballpark, USBank Arena and theatres. Click here to watch a video about Hilton Cincinnati Netherland Plaza. Hilton Cinncinati Netherland Plaza, a member of Historic Hotels Worldwide since 2013, dates back to 1931. The hotel is one of the world’s finest examples of French Art Deco style, and was used as the model for the Empire State Building in New York City. Cancellation Policy: 24 hours prior to date of arrival. Deposit: No deposit unless special event. Early Check-In/Late Check-Out: $100.00 Early Departure from scheduled departure date will result in a $100 fee. Occupancy Restrictions: 5 person maximum in standard rooms. Parking: Self-parking: $23.00 (Mabley Garage In/Out). Valet parking: $28.00 (Under Hotel In/Out). Secured: Available. Covered: Available. In/Out Privileges: Available. Other Parking Information: Valet: Electric Charging, Motorcycle, Accessible. Payment: All forms of payment are accepted. Payment is required at time of booking. Visa, MasterCard, Amex, Diners Club, China Union Pay, Carte Blanche, Bankamericard, and Discover are accepted. Rollaways: Available upon request; $30.00 per night. 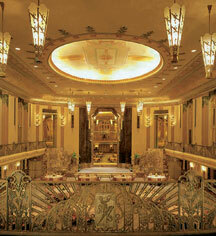 The Hilton Cincinnati Netherland Plaza is a true French Art Deco masterpiece. Opened in 1931, the hotel was an integral part of the first multi-use complex in the United States. Described as a "city within a city," the complex featured an office tower, hotel, fully automated garage, shopping complex and restaurants. 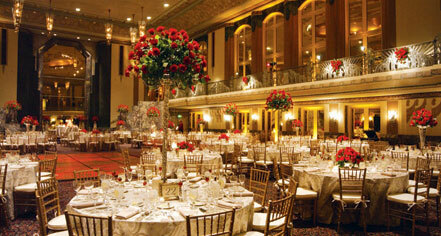 Learn more about the History of Hilton Cincinnati Netherland Plaza .